Following the supposedly controversial Star Wars: The Last Jedi, some fans are worried J.J. Abrams will try to undo Rian Johnson's work with Star Wars 9. Filming is taking place right now across the pond, and secrecy is tighter than ever so we don't know much of anything about what he's planning. But there's a new rumor making the rounds that suggest some of those fan concerns may be justified. Consider this your possible SPOILER warning! According to the folks at MakingStarWars, who are generally pretty reliable, Kylo Ren is bringing back a piece of hardware that we thought he had left behind. If you recall in The Force Awakens he came outfitted with a helmet and mask that was reminiscent of Darth Vader's, a tribute to his grandfather Anakin Solo who had gone over to the Dark Side just as he did. 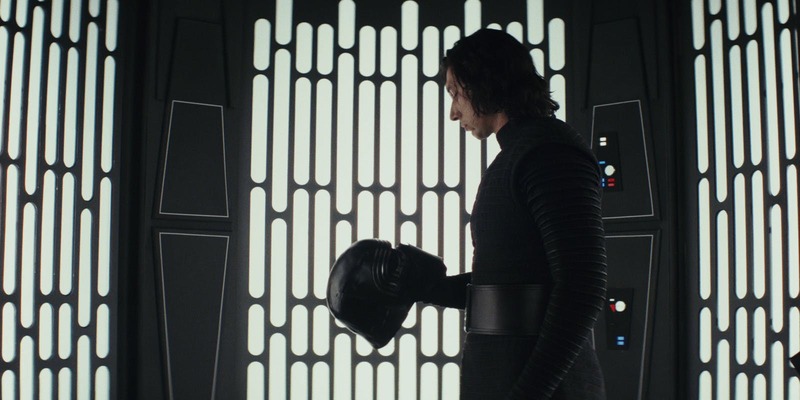 But in one of the most emphatic moments of The Last Jedi, Kylo Ren shattered the mask into pieces after being ridiculed by Supreme Leader Snoke. The moment was important because it was emblematic of Johnson's theme of letting the past die. 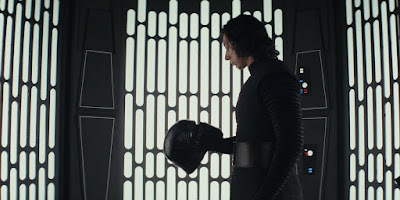 Kylo Ren quit being just a poor imitation of Darth Vader, shattering the helmet as a first step to becoming his own man, and possibly a more dangerous figure within the Dark Side. Well, the rumor says that Kylo Ren is bringing the helmet back. Ugh. No, not just a new version of the same helmet, but literally the same helmet, pieced together with “some kind of red crystalline bonding material". That might look cool, but the original mask looked cool. Kylo Ren still didn't need it. This rumor first surfaced at StarWarsLeaks and it says something that two different sources are hearing the same thing. They add that it appears he has the helmet in multiple scenes, too, so this isn't just a momentary thing. Maybe this is a symbolic gesture, to show Kylo Ren's backsliding further into villainy, but he doesn't need that. His actions at the end of The Last Jedi were more than enough. Hopefully this is just a rumor because I don't want to see Kylo Ren take such a drastic step backward. Worse, I fear this is a sign that many things will be dialed back as some kind of statement against what Johnson did on The Last Jedi. I'm generally interested in seeing how the trilogy wraps up with so many pieces knocked off the board or drastically altered, so if Abrams goes back on that I'll be sorely disappointed.